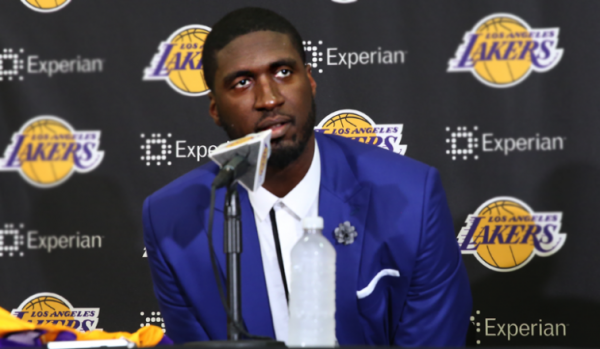 NBA Rumors – Los Angeles Lakers Getting a Slimmer, Better Version of Roy Hibbert? The Los Angeles Lakers landing Roy Hibbert was more about his former team, the Indiana Pacers, not wanting him, than the Lakers trading for a player they were eager to sign. But the highly criticized center might have a surprise or two up his sleeve for those who love to make fun of him. Hibbert has told Mike Trudell that he’s lost 16 pounds (283 to 267). This isn’t just about being lighter and in better shape. Hibbert knows part of the reason he was moved was that his size and speed no longer fit what the Pacers are looking for. In fact, the league is moving into that lighter, leaner direction as a whole as well. Look, “true”, “old-school” big men who can score will always be in demand in the NBA. It can’t be all about guys who are between 6’3 and 6’9 who are athletic, play on the wing and stretch the floor. There’s more to basketball than that, despite what the Golden State Warriors did in the NBA Finals. But Hibbert isn’t a great scorer or beastly rebounder. He’s a big man who is a good rim protector, and that’s about it. He’s not completely ineffective under the basket, but as of now, he’s not going to get the deal he got from the Pacers a while back if he stay the same. Just look at how quickly Kendrick Perkins’ career went south. So is Hibbert a stretch ‘4’ or ‘5’ now? No. He’s not a special outside shooter, and probably won’t be shooting too many 3’s next season. He has only 22 attempts in his career. But he’s making himself ready for more trips up and down the court at a higher speed. In short, he’s adapting. But… This is a Byron Scott team we’re talking about. A coach who hasn’t adapted to the last 12 years of basketball. Who thought and old Kobe Bryant can play 37 minutes a night. Who doesn’t want players shooting 3-pointers. In short, a bad coach, not the kind of coach who can make the most of a player who is looking for some guidance as he is taking his career in a very different direction.